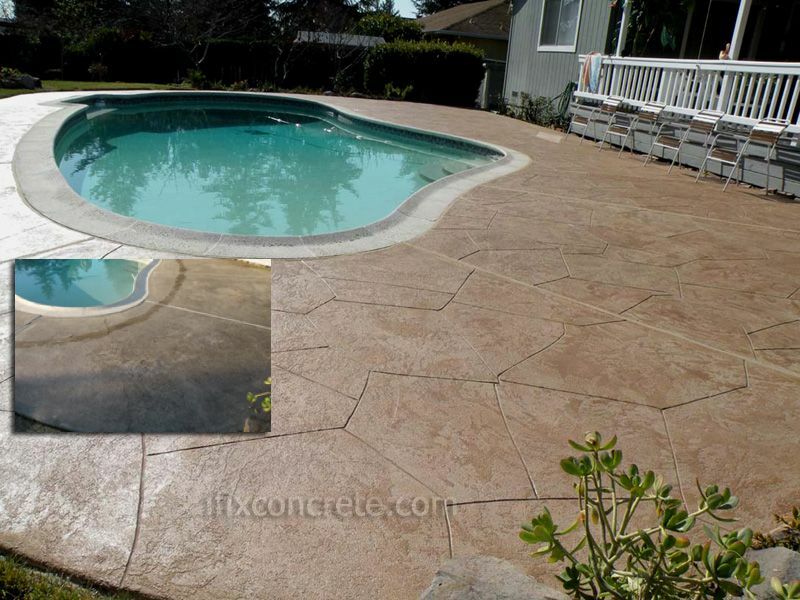 Give your old boring concrete a daring makeover to make it look brand new again. 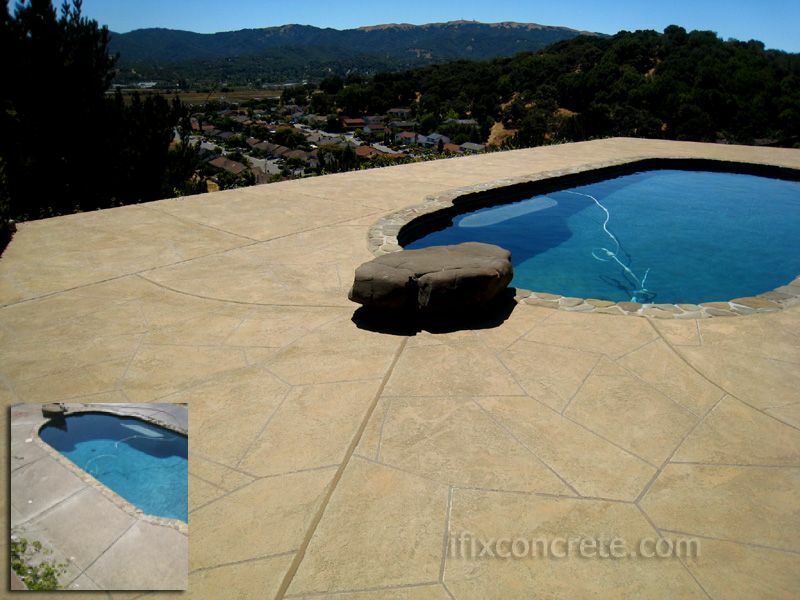 We specialize in designing and installing cement-based finishes and epoxy coatings over existing concrete or plywood, depending on the particular use. The products we use are extremely tough, very versatile and cost-effective. The coating's average thickness is only about 1/4 of an inch over plywood and only about 1/16 of an inch over existing concrete. 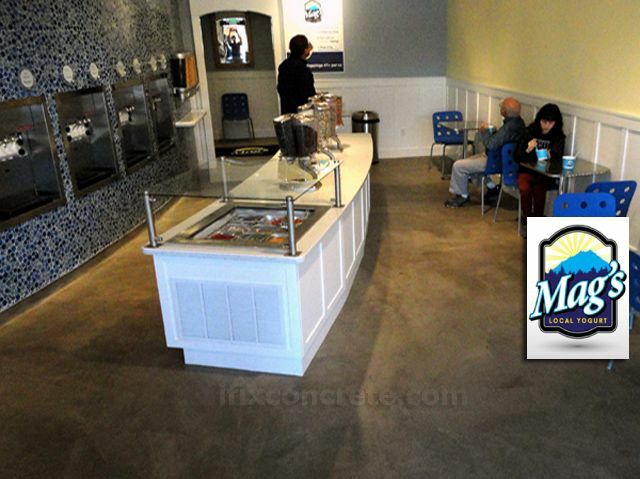 We can handle both interior and exterior installations. 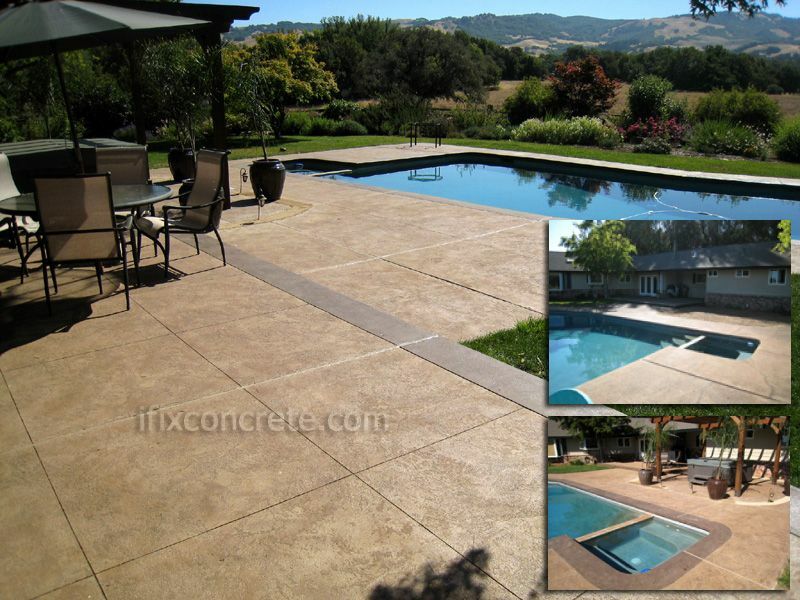 We specialize in installing cement-based concrete overlay systems. Our forte is color design and textures. We understand how important it is to enhance any given space without over-doing it. Make sure that the contractor you hire is licensed and is insured. In the application of any type of coatings, the key to success in the performance and longevity of the work done is SURFACE PREPARATION. This process should be done mechanically, since acid-edging DOES NOT provide a good surface profile for an ideal bond. Nowadays, it's very easy to check on product specifications and application instructions, so you are ensured that whoever is doing the work follows the book. Just ask for the product brand he is using and go online to learn about it. Our work is guaranteed for one year after completion on all workmanship-related areas. This covers our customers against peeling and fading of the coating under normal conditions and use. 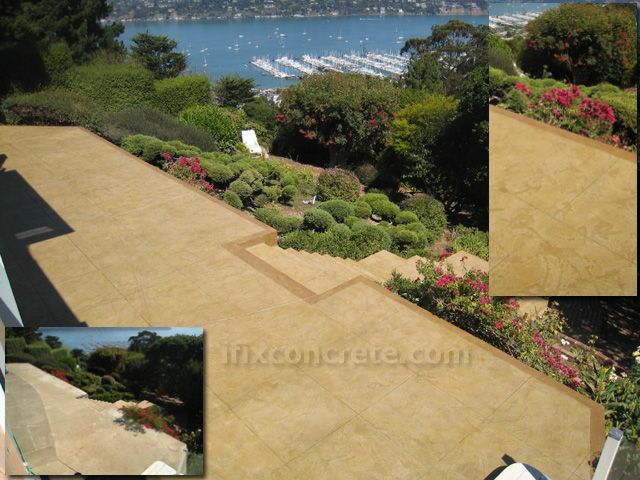 We offer pressure washing and reseal of our concrete overlays for additional cost. ifixconcrete.com has been rated with 5 out of 5 stars based on 1 customer review. Fixr has reviewed the content provided by ifixconcrete.com to match our community guidelines. 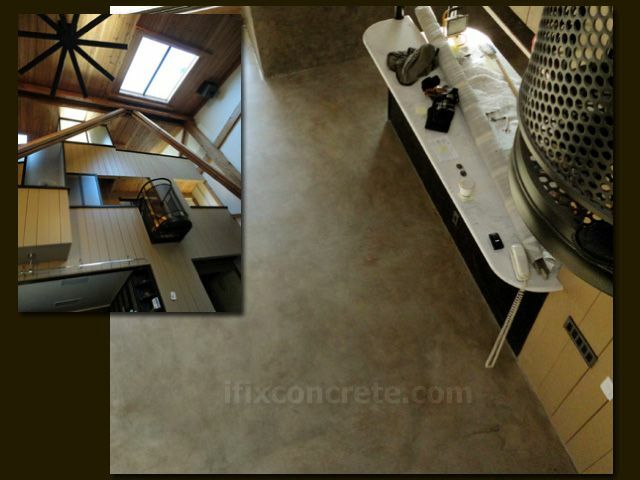 ifixconcrete.com has been rated with 43 experience points based on Fixr's rating system. Fixr has validated the email provided by ifixconcrete.com. I used iFixConcrete.com to redo my driveway and front pathway as I had seen the results on a friend's property. And I am very glad I did! I was quite impressed with the professionalism, quality of work, and customer service. I have had many compliments on the driveway from neighbors and passersby. I would highly recommend this company to others who want showcase-style workmanship.